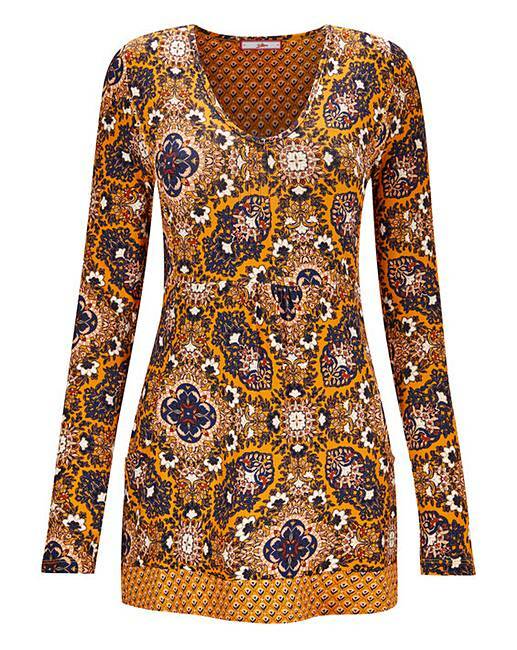 Joe Browns Tile Print Tunic is rated 4.5 out of 5 by 14. Exclusive to us in sizes 20-32. Elevate your everyday wardrobe and create an outfit that's bursting with style as you pop on this unique tile print tunic from Joe Browns. Guaranteed to turn heads, this piece boasts a collection of vibrant colours and features a feminine, flattering v-neck. The long-length sleeves ensure full arm coverage, meanwhile the lightweight fabric ensures optimum comfort & fit. For a striking outfit that'll stop passers-by in their steps, team this tunic with some black skinny jean and some black heeled ankle boots. So chic! Rated 1 out of 5 by SPB001 from Shrinks Badly When Washed This top has a lovely pattern and great fit BUT shrinks very badly when it is washed, even on a cool wash. For that reason it is not worth buying. Such a shame as it's a lovely colour, pattern and initial fit before washing it was perfect. If buying get two sizes bigger to account for the shrinkage when it is washed. 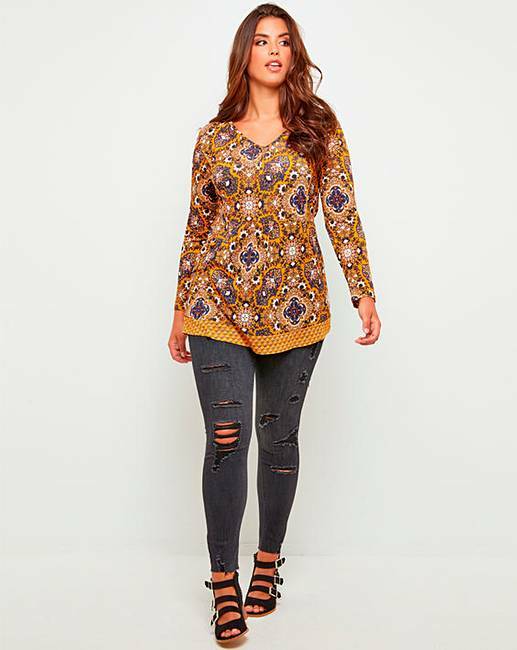 Rated 5 out of 5 by JennyS from Love this Love this top. I am a tall person and the length is perfect. Also nice long sleeves. Very comfy to wear. Rated 5 out of 5 by RachelAnn1 from Good size and quality I just love Joe Brown clothes but wish they did their whole range in plus sizes. Rated 4 out of 5 by Wellygriff from Ok Top Not keen on the material. I’d send back but I’ve worn it and washed it and it shrunk. Colour lovely and the style is fab does come up a bit small as I like thing loose but this I think is the style.